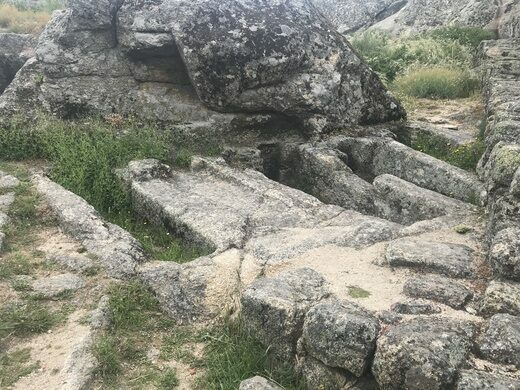 A windswept necropolis carved into the rocks overlooks the "most Portuguese town in Portugal." 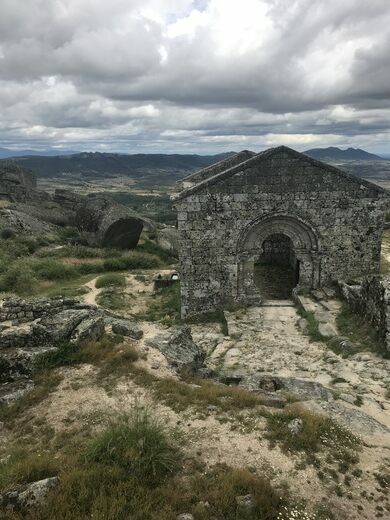 Above the uniquely beautiful mountaintop town of Monsanto Idanha-a-Nova—dubbed the “most Portuguese town in Portugal”—you’ll discover old castle ruins that, like many of the town’s modern buildings, were built into and around boulders. The town and castle are phenomenal, but keep exploring, for those who persist to the top of Monsanto are in for a macabre treat. 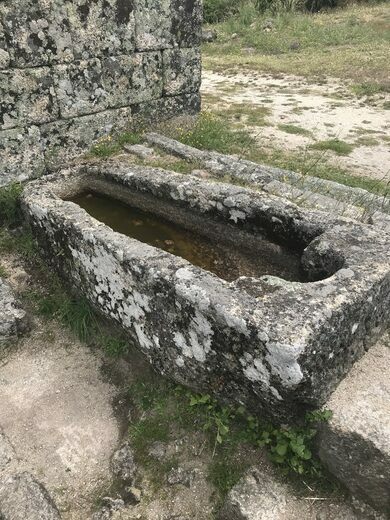 An ancient tomb still stands in Portugal. 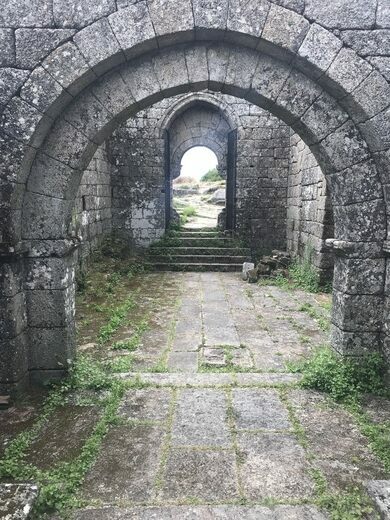 The 12-century Capela de São Miguel was built upon a site that had been sacred and fortified for at least a millennium already. 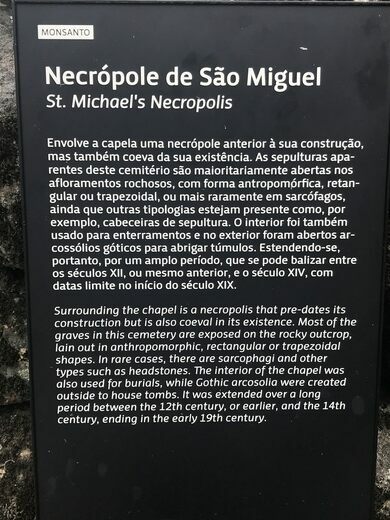 It also incorporated a most unusual necropolis. The Romanesque chapel itself holds a number of graves inside its walls, and a few freestanding sarcophagi flank the doors and line the outside. But the most unsettling part of this city of the dead is carved directly into the rock of the mountain. The human shapes carved into the boulders, predating the chapel by at least a century, would have been lidded with stone. 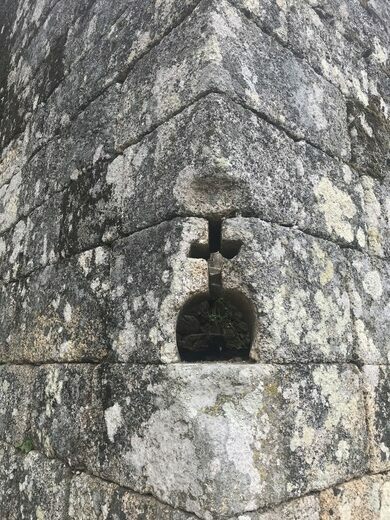 Nearly all the lids—and the bodies—are long gone, but the shapes carved into the Holy Mountain remain to commemorate nearly a thousand years in which the bones of the townspeople were cradled by the bones of the mountain. 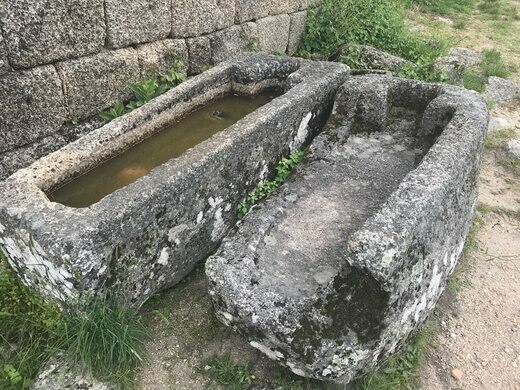 Approximately 80 of these ancient tombs have been counted, in addition to the chapel’s sarcophagi and a few gravestones. But there may be more spread further around the mountain, yet to be discovered. The roads are extremely steep, and once you get to the town itself, narrow and cobbled, with a few unexpected stairs/dropoffs. Park as soon as you can in the town (there are a few public spots, in addition to some AirBnBs having spots of their own) and just walk. The town is not large, and you’ll see much more than if you drive. Wear good shoes and dress warmly. 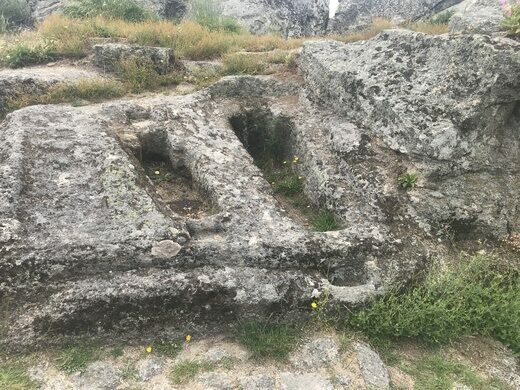 The mountain is chilly even in summer, and the necropolis and castle above the town are on an exposed mountaintop. There is always wind, and sometimes very strong gusts. Footing can be irregular. The majority of the town is not wheelchair accessible. This gaping hole in the middle of a remote mountain lake looks like a portal to another dimension. Remote, beautiful, and stigmatized, Las Hurdes is Spain's version of Appalachia. This frescoed ancient burial mound is a colorful window into China’s influence in early Japan. An ancient chamber filled with wonderful rock art and a Neolithic carving of a human face.